Why is the site named "Perfume Shrine"? Because this is my tribute to everything I hold sacred in the world of scent and flavor. Who Writes for the Perfume Shrine? Unless explicitly specified to the contrary, all of the articles on Perfume Shrine are written and developed by Elena Vosnaki. Perfume Shrine is based in Europe and is written in English. What are your credentials for writing about fragrance? I am a historian and an archeologist (specialized in Bronze Age), with another degree in History of Art and a professional diploma in Classical Music. I am currently working as a copywriter and consultant. I consider perfume as both a historical and artistic project which unites both worlds, so my university degrees have been exceedingly helpful in that. I learned about perfumery training on formal perfumery seminars, extensive reading, discovering fragrances (from modern to vintage to niche, building a vast collection), smelling raw materials, and seeking encounters with those willing enough to teach me what they knew. It would be Utopian to claim proficiency in such a vast subject, so I consider myself, as with everything, a constant student. How does one navigate the website? The HOME page features only the most recent posts in chronological order like a web log. The right hand column features Thematic articles, grouped under main Themes. For archives visit SITEMAP; the Sitemap is accessed on the top of the main page menu. There are also Alphabetized subjects which you can see at the header. The SEARCH feature (on the right hand column of HOME) allows browsing through all the posts on Perfume Shrine (just type the words of your search). 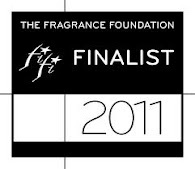 For individual reviews of fragrances, please peruse the REVIEWS section of the Sitemap menu. How do I comment on the Perfume Shrine? A frequent question indeed. Blogger doesn't seem as clear as hoped for. Please read this post for easy to follow steps. Does the Perfume Shrine belong to any beauty/perfume blogging network? No, it doesn't. If someone has added our link on directories of such blogs we're honoured and appreciative, but are not tied by any "rules" or reciprocal "promotion" obligation. Any joint project here that links other blogs/sites is personally undertaken out of mutual respect and is non recompensated monetarily. Do you sell posts or links? What about ads? The Perfume Shrine site doesn't talk about something unless it has resonated with us on some level. Whenever a link is sponsored it is specified as such. We accept a very limited choice of ads that are of relevant content to our readers and are specified as such, including Amazon Associates links. I sometimes link to a few relevant (mostly non commercial) sites out of respect and admiration for free. Affiliate programs do NOT interest me, so please refrain from sending such suggestions. Do you accept (free) samples for review? Yes, but only if it is something that is unavailable where I live and I can't get it any other way. If so, it is disclosed as such at the bottom of the review. Accepting a sample doesn't guarantee that I'd end up blogging about it though. Please consider that I am extremely busy and therefore SLOW these days. If you explicitly need your product to be featured into a time sensitive slot, I might not be a good fit for you. Do you write negative reviews? If you have been reading this blog you know I do, if I feel that it is deserved. This is an independent venue that reflects the opinions of its author, which is why it is trusted by its readership. I would be much more inclined to be harsh with a big company who can afford to lose customers, however. A very small, struggling artisan might meet with my silence if I don't feel I have anything positive to say. If you like this blog, you're more than welcome to put a link to it on your own site. It's a great compliment and I appreciate your gesture. I might do the same if I find your site worthwhile and I find myself a frequent reader. 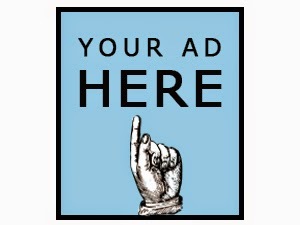 Please do NOT contact me with requests for a reciprocal link if you're a business: In those cases, please consider a clearly defined ad link option per above and ask for our rates. Also please don't use our posts content to shill your Ebay wares. This is copyrighted material and I shall report you. What about the other links you have on your sidebar? If they're here, it means I consider them worth your time too. Can I copy your posts/take your feed to use on my own site? You can link to me (you're in fact encouraged to do so with a mention & link of the venue for a maximum quote of a paragraph), but if you want my actual content and writing featured on your commercial site, you'll need to pay what I charge as a freelance writer and copywriter. Please mail me using the email Contact provided. The Perfume Shrine does not release ANY of the personal information shared on this site or in emails. The subscription lists are moderated by third parties and the identities of the subscribers are not released to the editor. What is Perfume Shrine's policy on Comments? We accept any comment, be it positive or critical, as long as it is not covert advertising for a commercial business (in which case it will be deleted as spam; please -email us directly for evaluation of your business if you want to get openly advertised) or insulting to other readers. The comment section is NOT intended for spamming your business,/writing venue/blog/project, and generally promoting yourself for free, so I might delete your comment if it falls under that category and/or doesn't contribute to the conversation. You are free to leave an anonymous comment if you so choose; an alias nevertheless makes dialogue easier! Subscription to the Perfume Shrine is available through various third-party "readers" (Google, Netvibes, Bloglines, Newsgator, My Yahoo etc. ), Atom/RSS feeds, Bloglovin and/or Feedblitz delivering our content to your email. You will find the appropriate links/widgets to use on the right hand column (scroll). Your email remains private and your name is not divulged to the editor. All original content, personal photos and personal translations herein copyright © 2005-2015 Elena Vosnaki/PerfumeShrine, All Rights Reserved. 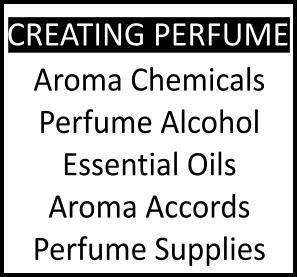 The contents of Perfume Shrine are protected by applicable copyright laws, which prohibit any usage of the original material appearing on this site for commercial purposes without explicit written consent from the editor of Perfume Shrine. You are however welcome to provide a link back to the posts on this site as long as you explicitly mention their authorship, recognize the original source of the information you give, and acknowledge the site of origin. Please respect the time and effort put into this website. Photos do not belong to us unless we personally shot them. The bulk of them are borrowed, credited and linked whenever possible, for educational purposes only. If you object to any material you are the rightful owner of on this site, please contact me using email, to have it properly credited/removed. Thanks!